SpaceX is hiring a farmer in Texas. Old Elon Musk had a farm, E-I-E-I-O. Wanted: a farmer who can arrange her harvesting schedule around outer-space rocket tests. Or so says a recent job posting from SpaceX, Elon Musk’s much-hyped space technology company. Unfortunately for those Star Wars fans who dream of following Luke Skywalker’s path from moisture farmer to Jedi Knight, the role seems a little more down-to-earth. Based in McGregor, Texas, the site of SpaceX’s 900-acre rocket development facility, this job listing appears amid openings for avionics integration engineers, instrumentation technicians, and machinists. Besides considerable row crop experience, the ideal candidate is expected to repair John Deere agricultural equipment and understand the weather. So why is SpaceX so keen to sow crops around its multimillion-dollar test site? Perhaps this is the company’s first step toward being able to grow apples in microgravity. So that even if Elon Musk does die on Mars, and not on impact, as he famously put it, it will be elegantly of old age and not from scurvy. Or maybe there’s a more boring reason. 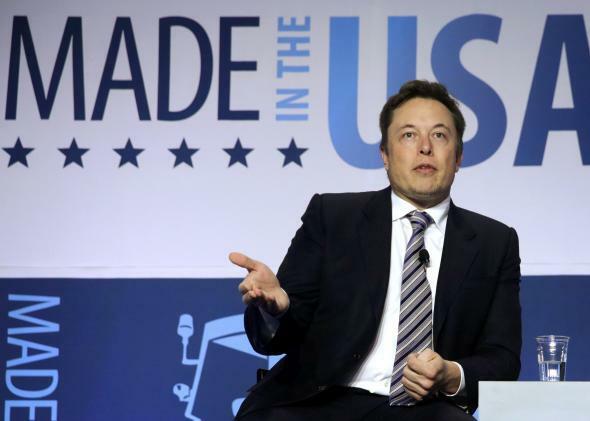 Some have speculated that SpaceX could be seeking a tax benefit. Jessica Marie from the McLennan County Appraisal District, of McLennan County in which the facility is located, told me that the company could apply for an open space land special appraisal and a reduction in tax burden, but to qualify, the land would have to have been used for agriculture for five of the past seven years. * If not, SpaceX could qualify in five years’ time, assuming the farm gets underway quickly. However, the principle use of the land must also be agricultural. Given the high science taking place on its McGregor site, it’s unclear whether SpaceX could ever take advantage of its prospective crop for tax purposes. Perhaps corn just cushions the fall of those rockets? SpaceX did not offer further detail when contacted for comment. Of course, SpaceX is creating new jobs in these small Texas towns. There are more than 20 SpaceX jobs listed in McGregor alone. And you don’t just have to be a physicist or a farmer. If you have one to two years of coffee-making experience, and drip coffee as well as espresso machine proficiency, you can also be the SpaceX barista. *Correction, Dec. 4, 2014: This post originally misstated McLennan County as McLellan Country.